What is Balayage & Ombré Hair Highlights? "Call Now for a Free Balayage Consultation with our Expert Hair-Colourist today". Balayage is a modern technique of hair highlighting that can give you a more softer natural sun-kissed look, as opposed to the stripy contrasting highlights of traditional foiling methods. This is a popular choice among clients looking for the more subtle natural appearance to their highlights, leaving some contrast from roots to tips with a delightful blend of shades. Another benefit is that your regrowth can be less noticeable as the highlights progressively blend from being darker at the base to lighter at the ends. Requiring less maintenance and longer gaps between salon appointments. Balayage is performed by literately hand painting highlights in a specific pattern formation to achieve the desired free-flowing effect. The word balayage is actually French - meaning "sweeping", which basically describes the sweeping motion used in applying (painting on) the highlights. Ombré is another variation of balayage where the highlights gradation shade from base to tips is more profound in tone. Ombré is also a French word meaning "gradation of colour or shades". Both Balayage and Ombré highlighting has become more popular recently. Drew Barrymore, Sarah Jessica Packer, Jennifer Aniston and many more. it and is competently trained in doing it properly, could be quite a mission. (Los Angeles) in using advanced Balayage techniques. 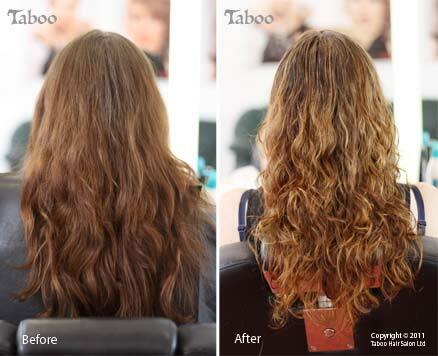 She has been doing balayage highlights for her clients at Taboo Salon for over eight years and is far more experienced then most with this modern highlighting method. look awesome - we guarantee it! Additional before and after photos below of results achieved using a combination of both Ombre and Balayage highlighting techniques by Tina Fox. More Balayage photos available on the Tina Fox's webpage or to watch a video demonstration of Balayage being done - simply click on the video clip below. 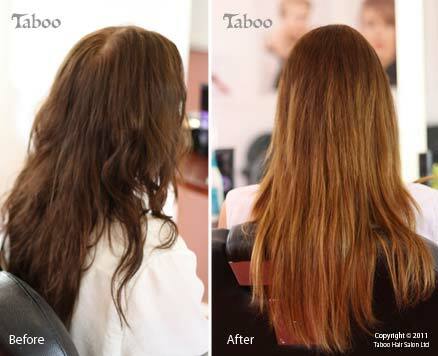 Call Now for a free balayage consultation with Tina Fox - Taboo Hair Salon, Karori, Wellington (04) 476 7077. Tina was professionally trained in using Balayage and other advanced highlighting techniques in Los Angeles - USA. and a director at Taboo Hair Salon. She has been hairdressing for 25 years and is also a member of the New Zealand Hairdressers Association.